After first visiting Jimmy’s Farm in Suffolk two years ago we’ve been looking for a chance to go back. 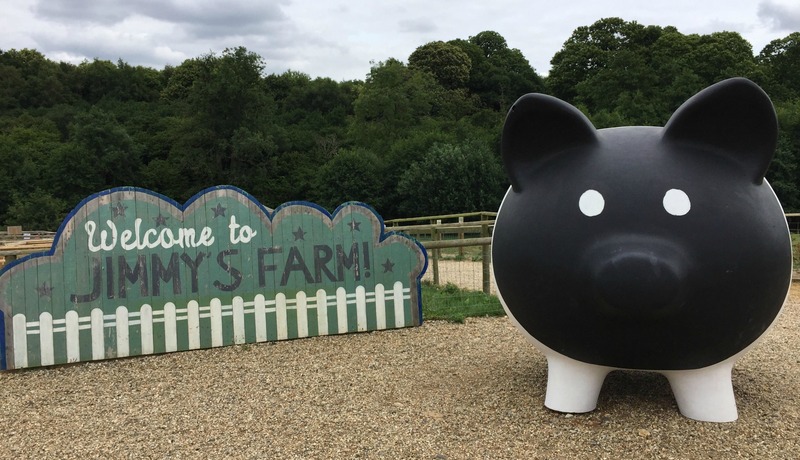 We figured rather than just spend our last day at Center Parcs travelling, we’d stop in at Jimmy’s Farm on the way home and once again it didn’t disappoint. 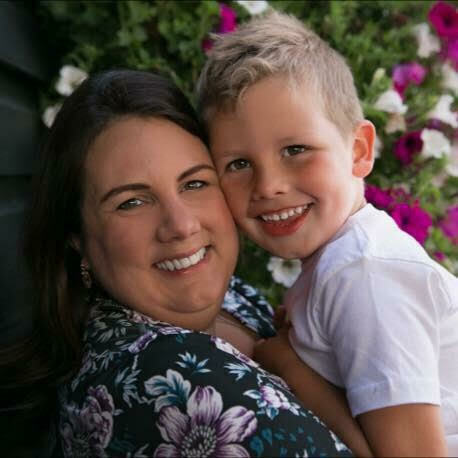 Since becoming a parent, I feel like I’m quite an expert on children’s farms but there’s something especially charming and rustic about Jimmy’s, not to mention a truly wonderful restaurant. The wildlife is of course the highlight of any farm and Jimmy’s have expanded their range since I last visited. 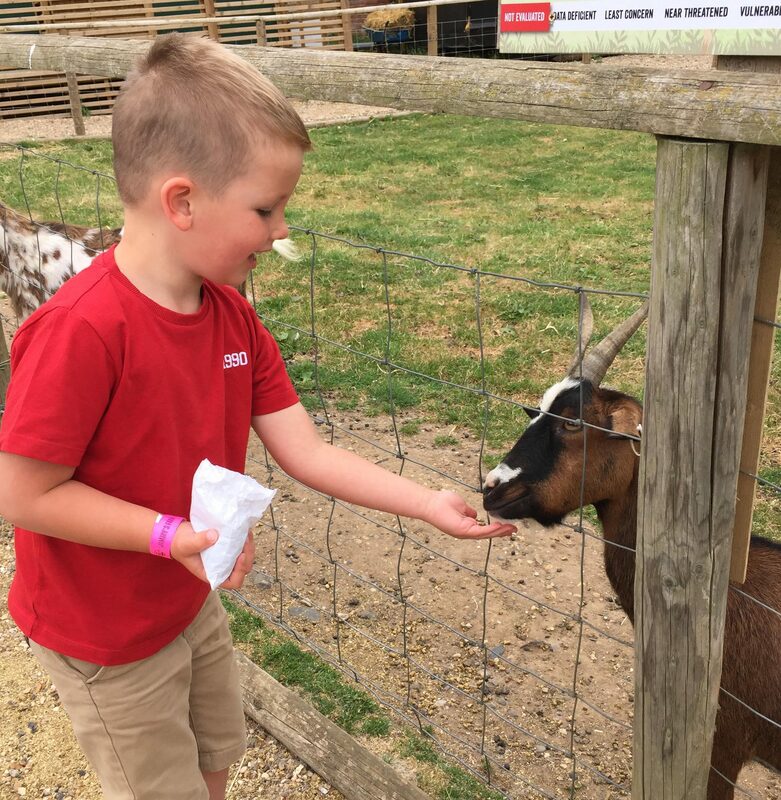 You can find ponies, donkeys, chickens, rabbits, guinea pigs, sheep, goats, geese, ducks, cows and pigs in the Farm Park, in addition to catching a glimpse of their rare breeds on the working farm, and lots of other birds and wildlife on the nature trail. 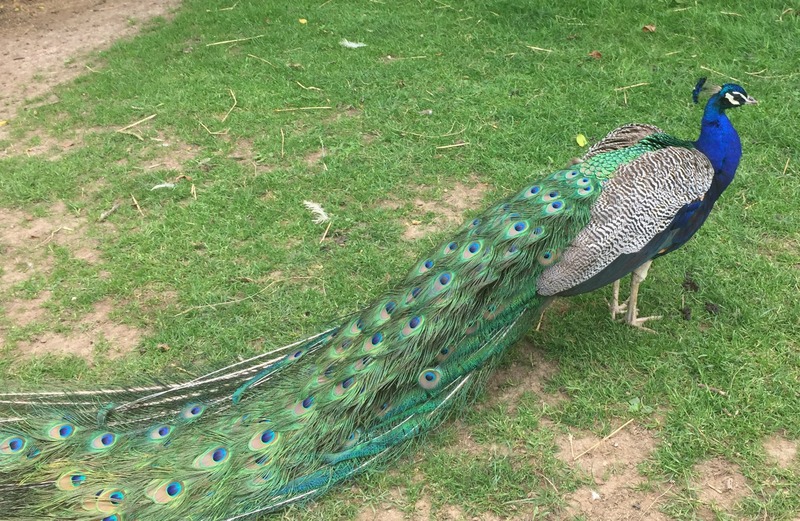 We also spotted this beautiful peacock – such a pretty and fairly rare sight. Unfortunately, we didn’t have time to visit the newly added butterfly house which is a shame since I’m such a fan (see my blog title!) so will definitely be checking this out on our next visit. The kids loved feeding the goats and the gorgeous small animals. I love the setup of this guinea pig enclosure – so rustic and cute. 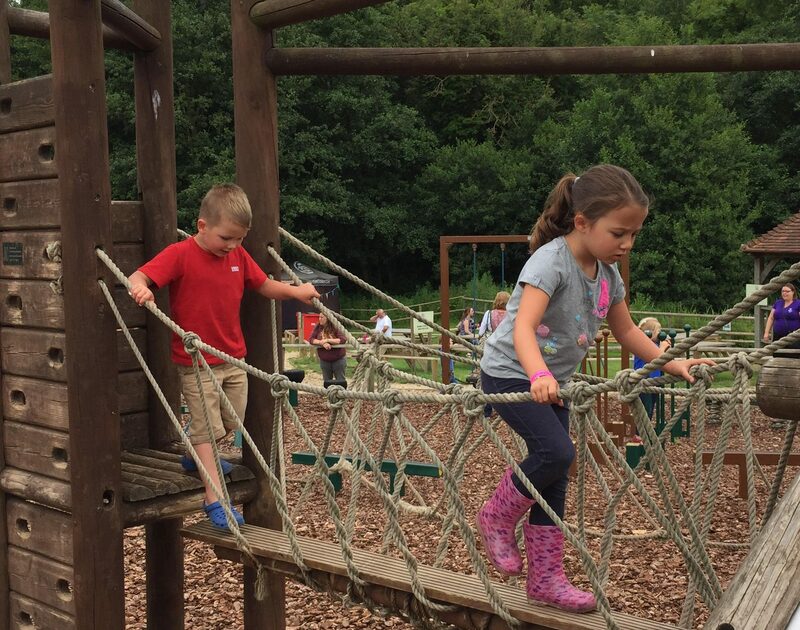 As well as the animals, Jimmy’s Farm also has a great adventure playground, sandpit and bouncy pillow which was a big hit with the kids and adults in our party. It’s not just about the children, one of my favourite things about Jimmy’s Farm is the lovely boutiques. 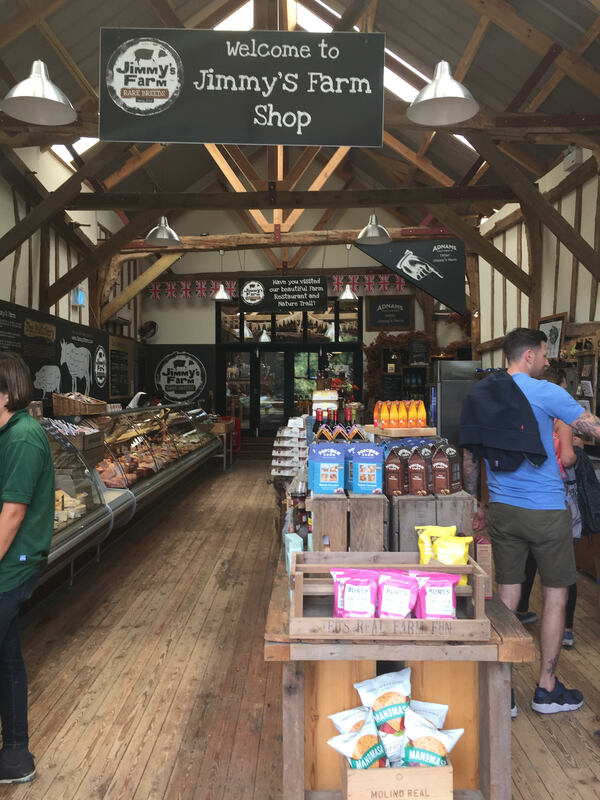 They have a wonderful butchery full of tempting artisan produce as well as a huge selection of fresh meat from the farm itself. 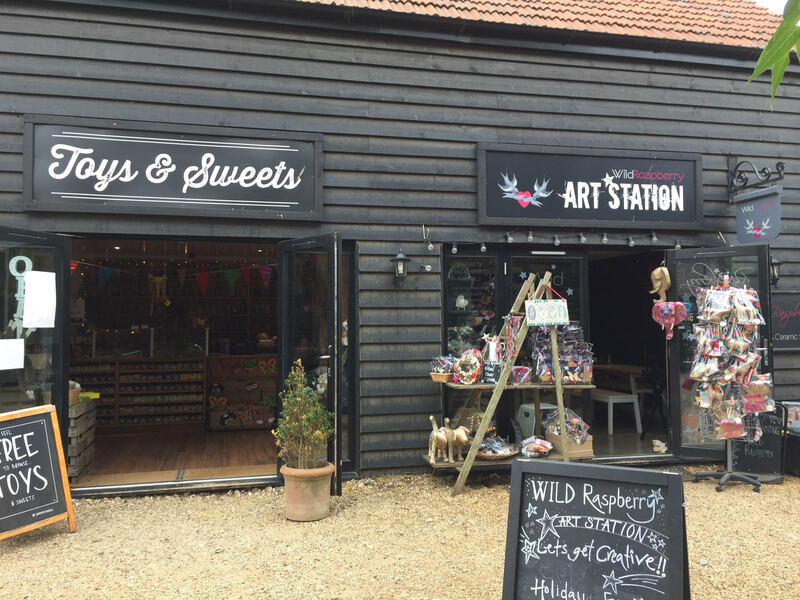 There is also a toys & sweet shop that we couldn’t get the kids out of, an art shop, a lovely homewares/gift shop and a Joules children’s clothing outlet, which stocks lots of gorgeous and unusual clothing for babies and toddlers. The restaurant is probably my favourite thing about Jimmy’s Farm and we had another delicious meal there this time. 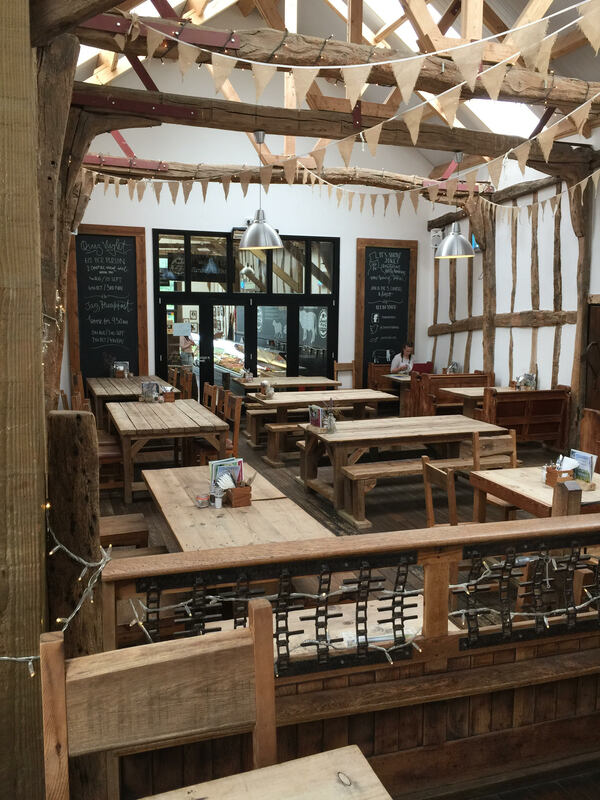 I love the rustic, wooden interior and the food is superb, with a tasty and locally sourced menu. 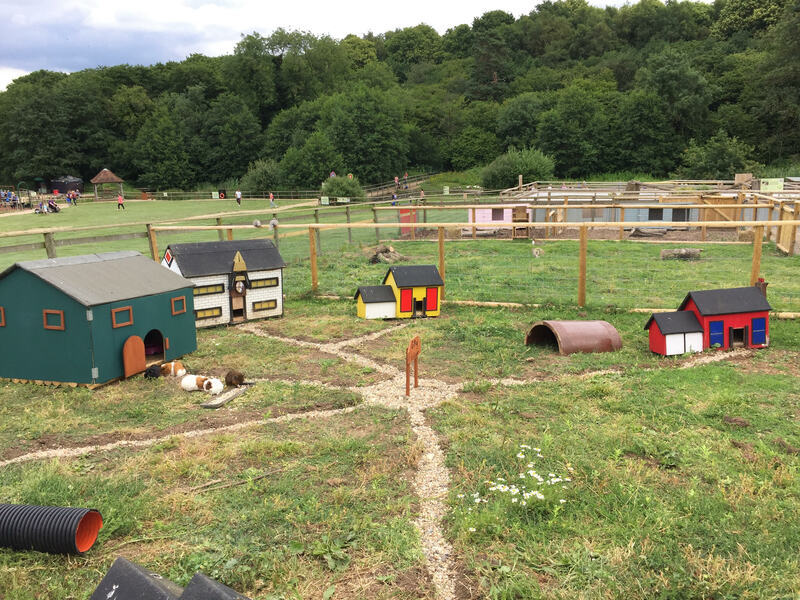 Some children’s farms can feel artificial but you can really tell that this is a working farm and the design, layout and setting is really pretty – especially on a lovely sunny day. A wonderful British summertime feel. 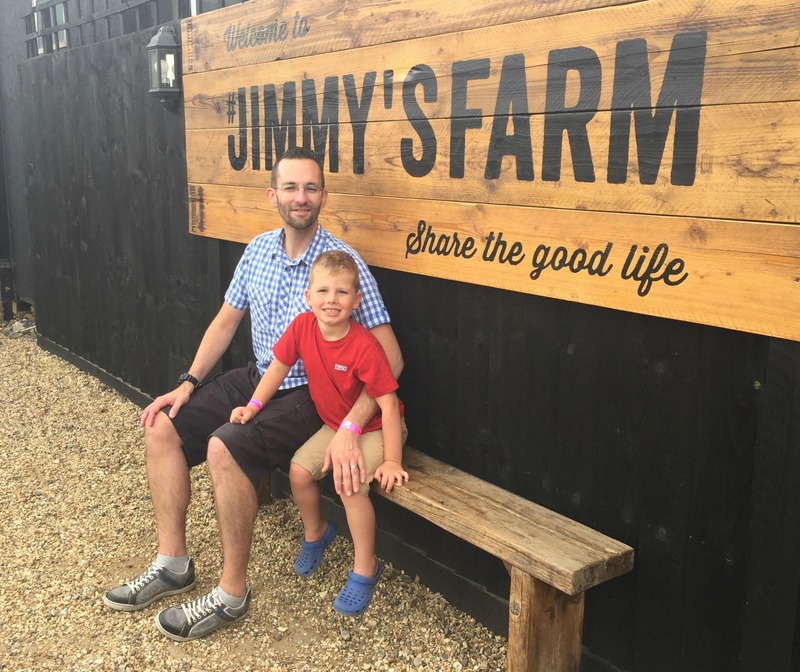 Disclosure: We were given complimentary entry to Jimmy’s Farm in exchange for an honest review. Words & opinions are all my own.